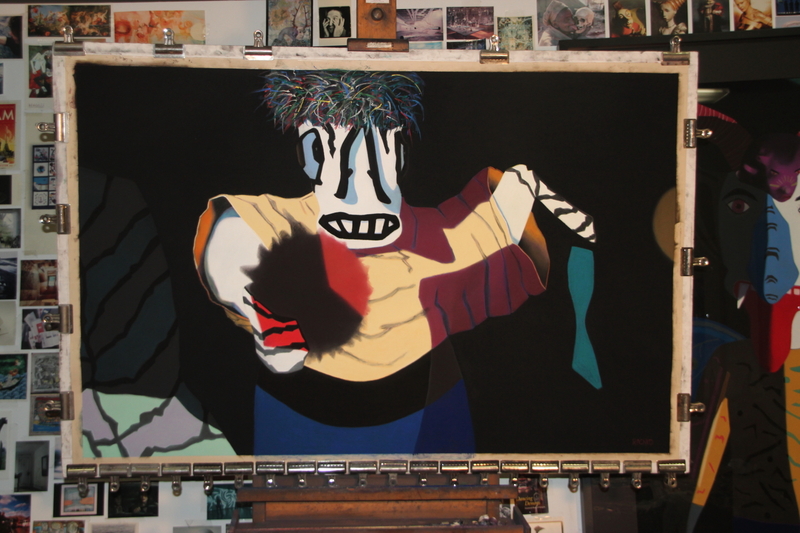 Posted on November 23, 2013, in Art Works in Progress, Black Paintings, New York, NY, Pastel Painting, Photography, Studio and tagged "Broken", easel, large, pastel painting, soft pastel on sandpaper, today. Bookmark the permalink. 2 Comments. What a cool piece have you ever listen to the Bob Dylan Song Every thing is broken till later stay creative and have a great T.G Day and give N.Y.C my best . Thank you, Peter. I know the song, but I didn’t think of it when I came up with the title.